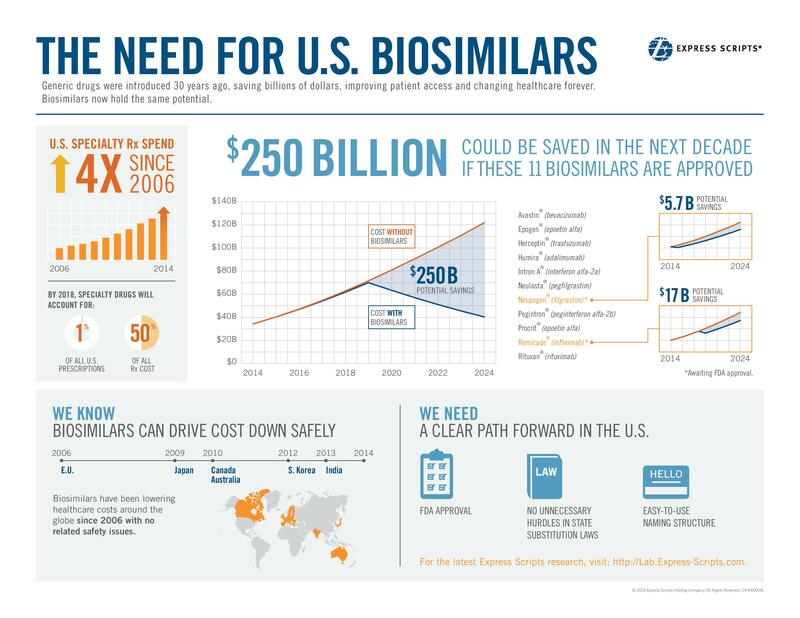 Are biosimilars set to disrupt the US pharmaceutical industry? 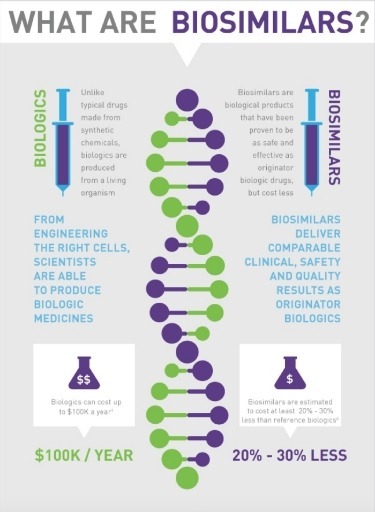 Source: Hospira – Biosimilars, a visual perspective. patients with severe chronic neutropenia. Zarxio’s launch established the US biosimilars market, a nascent subindustry that is projected by some estimates, to account for 4% – 10% of the $190B biologics market by 2020. In fact, an analysis of the future biosimilars market projects that 50% of the biologics market will belong to off-patent drugs, creating a high market potential for biosimilars. 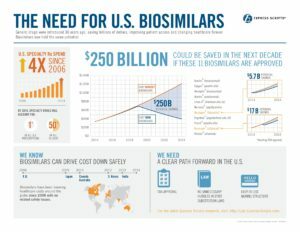 With the approval of its first biosimilar, the US is joining the rest of the global biosimilars market: “Japan, Australia and Europe have approved 6, 8, and 19 biosimilars already, and the global market rose from $1.1M in 2007, to $86.9M in 2014, with a market penetration in European and emerging markets of about only 8%. At the time of this article, there are currently 29 biosimilars in clinical trials in the United States. Biosimilars will do for the injectable biotech market, what generic drugs did for the solid pills market years back: Offer safe, effective treatments at a lower cost, often (in European and Japanese markets, any way, at over 30% less than their brand name counterparts. The big question is, will they survive the rigorous regulatory process? Ahead of the US, Europe is leading the biosimilars rush with 29 biosimilars in trials. 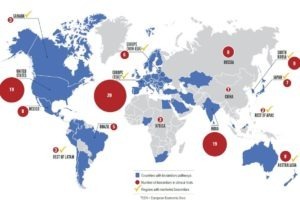 India alone is testing 19 biosimilars. Other than Sandoz/Novartis, top players are: Hospira, Amgen, Mylan, and Pfizer. Hospitals and insurance companies are counting on biosimilars to foster a competitive market that will drive the price down on many prescription drugs (specifically those dealing with chronic diseases). However, it must be noted that it is still hard to estimate how much less expensive a biosimilar will be than its reference drug, as the prices vary, and are still market-dependent. Here in the US, Zarxio sells for 15% less than Amgen’s Neupogen.